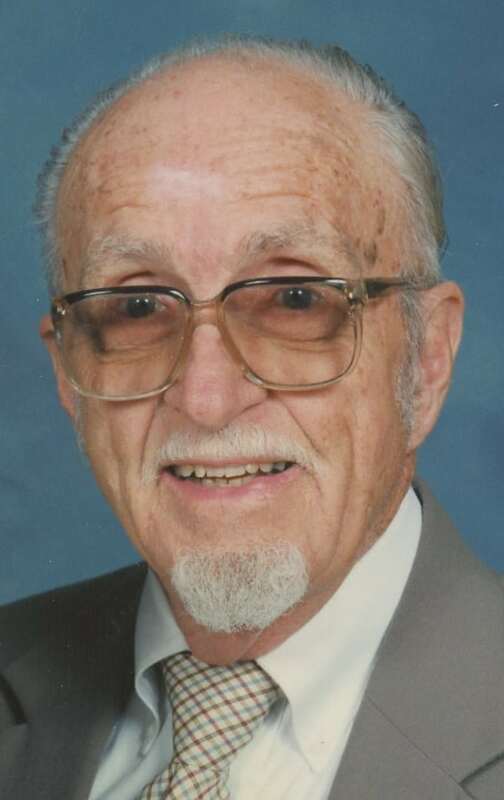 Memorial services for Robert L. “Bob” Stewart, 93, Lawrence, will be held 3 p.m., Wednesday, February 8, 2012 at Centenary United Methodist Church in Lawrence. His body has been donated to the Kansas University Medical Center. Bob died February 3, 2012 at Brandon Woods at Alvamar in Lawrence. He was born on March 9, 1918 in Lyons, KS the oldest son of Harry L. and Esther (Hamilton) Stewart. Bob started working at age 9 helping the Trent brothers with their paper route where he met his sweetheart for life, their sister Annis. After serving in the Marines during WWII, Bob worked at many jobs over his years, mostly insurance or real estate sales. One transferred him and his family from Hutchinson to Lawrence where he spent the rest of his life. After his retirement he found the perfect job for himself. He became a handy man for the Perry-Lecompton schools. He later became the handy man for the Pi Beta Phi house at KU until he retired for the last time due to his and Annis’s bad health. Bob was a Jefferson County volunteer fireman for several years. He also was a volunteer treasurer for a Jefferson County rural township. He was a member of Centenary United Methodist Church and American Legion at Perry, KS. Bob was predeceased by his wife who died of Alzheimer’s in 2006, his parents and 2 brothers, Harry Jr. and Harold. He is survived by his son Gary (Sandy) Stewart and his daughter Jan (Walt) Houk. He is also survived by grandchildren Mark and Scott Stewart and Kent Houk and Kimberly Houk Bickling, 8 great grandchildren Matt, Eric, Sarah, Jacob Stewart and Colman and Chase Houk and Zachary and Mackenzie Bickling. He is also survived by 25 foster daughters and their families. During their marriage of 69 years, Bob traveled with Annis and Virginia Conard to presenting “Conversational Prayer” workshops. Bob and Annis were also able to travel to Hawaii and Israel. Bob lived his last 5 ½ years at Brandon Woods nursing home being well cared for by many but especially Susie Jach and Linda Motter. Memorial contributions may be made in his name to the Lawrence Centenary United Methodist Church or University of Kansas Alzheimer’s Disease Center and may be sent in care of Warren-McElwain Mortuary.